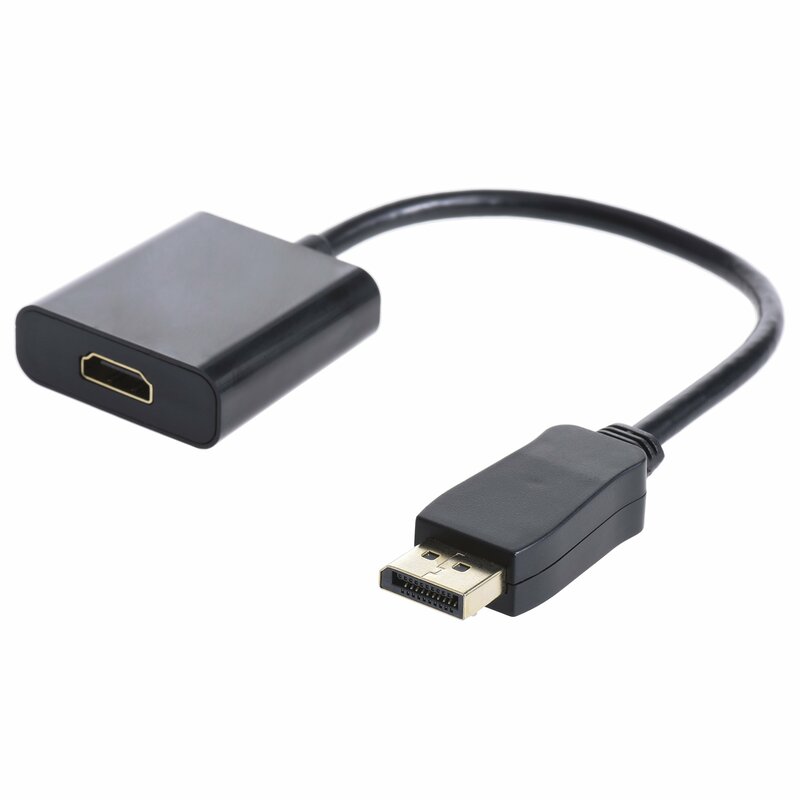 Home › Electronics › Isnowood High Performance Displayport(Dp) To Hdmi Video And Audio Sync Cable ..
Isnowood High Performance Displayport(Dp) To Hdmi Video And Audio Sync Cable ..
Built-in HD Chip with High Compatibility; Advanced Circuit Design, Workable without External Power Source, Easy Plug and Play; Supports 4K*2K 30HZ Transmission Rate and Latest Audio Format Such as TrueHD, DTSHD ...etc. This Adapter is proudly presented by us for its excellent workmanship, perfectcompatibility and stylish looking; the high density metal layer can provide all digital video signal and audiotransmission, shield most of the external electromagnetic interference, together with the good heat diepersion, all of which could make you enjoy yourtime surfing the internet and watching all the HD movies. Warm Prompt: Please plug and unplug the adapter with care to avoid scratch and decrease ofservice life. Please do not put adapter close to the fire or in humid condition which mayaffect its performance.